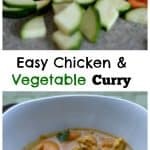 A refreshing lemon curry chicken dish served up with fresh vegetables, and a tangy lemon coconut curry dressing. 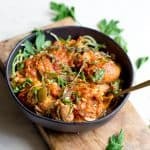 Have you tried zoodles yet? I’m a huge fan. A pasta like texture that is guilt-free and replaces noodles with zucchini. They allow me to enjoy pasta dishes without feeling to full or heavy, and they are super simple with the right tools. I used to love pasta and want it for every meal. I’ve slowly changed these desires over the years, but I still love the occasional bowl/plate of pasta. Enter my kitchen gadget: a not fancy zoodle making tool that is only $15. Now I can enjoy pasta meals, or just add zucchini to practically everything! 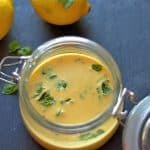 Last week, I posted my Thai Lemon Coconut Curry Dressing and told you about the Marks and Spencer salad my kids gobbled up that inspired the dish. 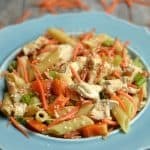 It was a thai noodle salad with fresh vegetables, quinoa, chicken, and a delicious dressing. We all loved it! 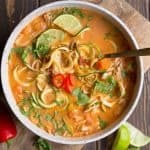 For the version that I made here, I used zoodles combined with pasta for my kids since it was their first time trying zoodles. 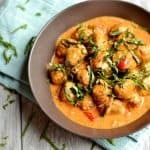 Pairing unfamiliar foods with familiar foods is a technique I use to encourage them to try new tastes. They thought zoodles were super cool. We have been adding them more often to foods without any complaints! . To start this dish, you’ll cook your chicken in a skillet over medium heat. I just rubbed a little curry powder on the chicken breasts, cooked them over coconut oil, and it took about 10 minutes total. 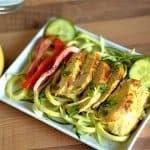 A light and refreshing dinner that is perfect for a warm summer night! I’ve also used cucumbers and bell peppers as part of the bowl, but feel free to use your favorite veggies. For the chicken. Combine sea salt and curry powder into a small bowl. 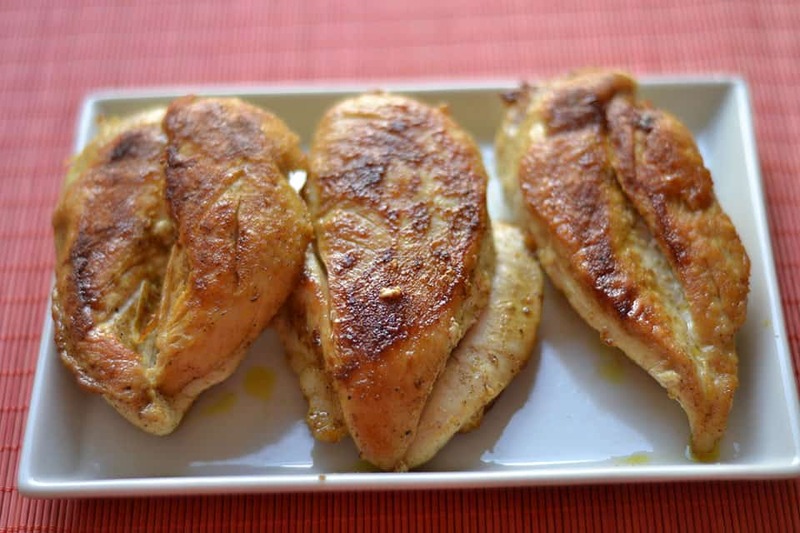 Rub each chicken breast with approximately 1 tsp seasoning on both sides. 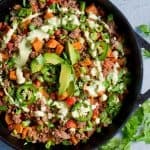 Heat up a skillet pan to medium - medium high heat. Add 2 tbsp coconut oil, and then place chicken breasts in pan. Cook for approximately 5 minutes on each side or until chicken is cooked through and no longer pink. Set aside. Once cooled, slice into thin slices. 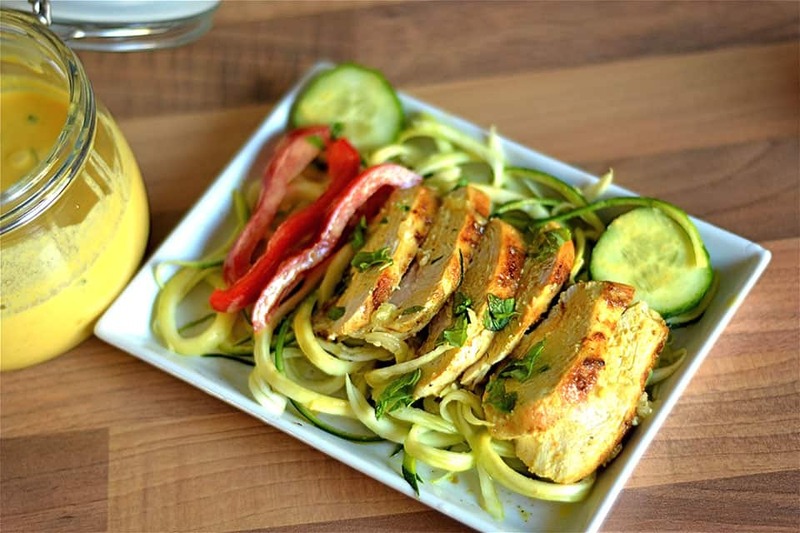 Prepare the Zoodles by using a spiralizer. Alternatively, you can use noodle pasta or a combination of both. Zoodles can be enjoyed raw, or cooked over medium heat for 2-3 minutes with olive oil. Set aside. 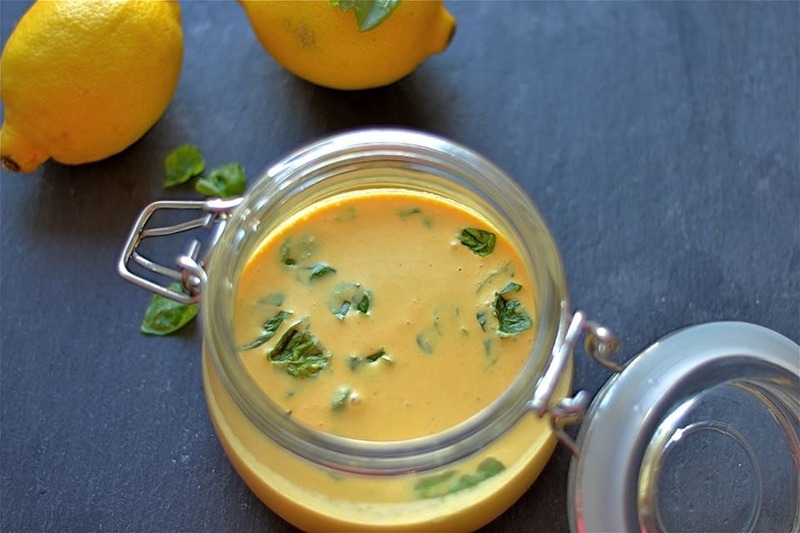 For the dressing: Combine coconut milk, curry paste, vinegar, lemon, turmeric, honey, and fresh basil into a food processor. Pulse for about 30 seconds until nice and smooth. 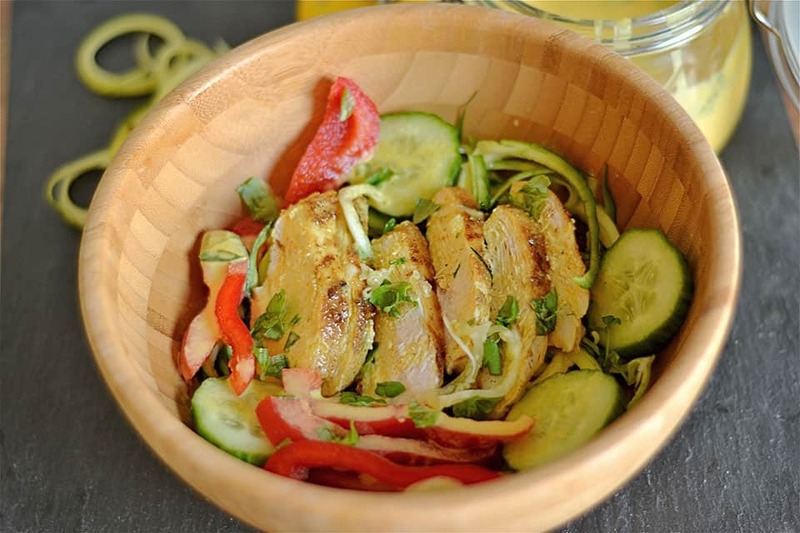 Assemble your bowls: Place zoodles, then chicken, cucumbers & bell peppers, and dressing into a bowl or plate. Toss to combine. Just wanted to let you know, It took about 3 minutes for this to load. I counted and you have 8 ads on this page and 3 were flashing. Thanks for letting me know, Anne. It should not take that long, and I’m looking into it with my advertiser.